What the heck. I have the day off. We’re engaged. 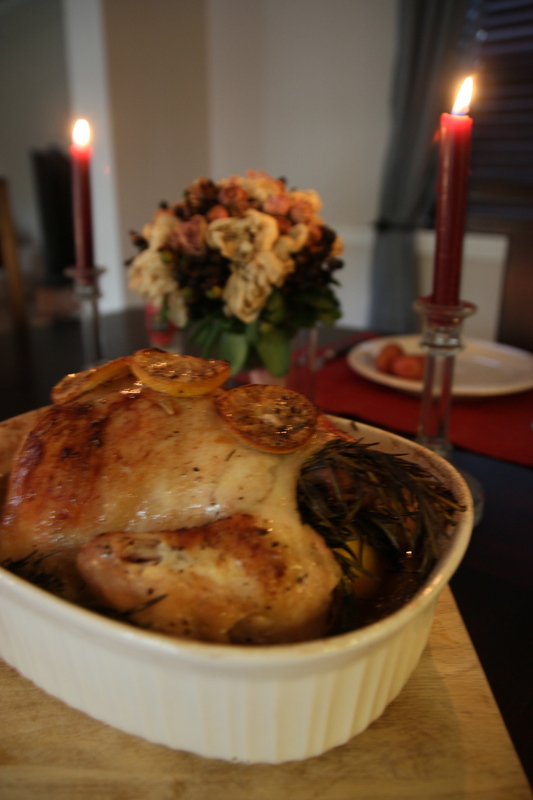 It’s called ‘engagement chicken.’ The recipe sounds easy enough, and oh my goodness…there’s a full 2 1/2 lb chicken right there in Trader Joes just staring at me. That’s it….I’m making it! I obviously don’t handle full chickens very often. If this seems a little much for you, and you thought about cooking it at first, don’t worry, you’ll get through it just fine! 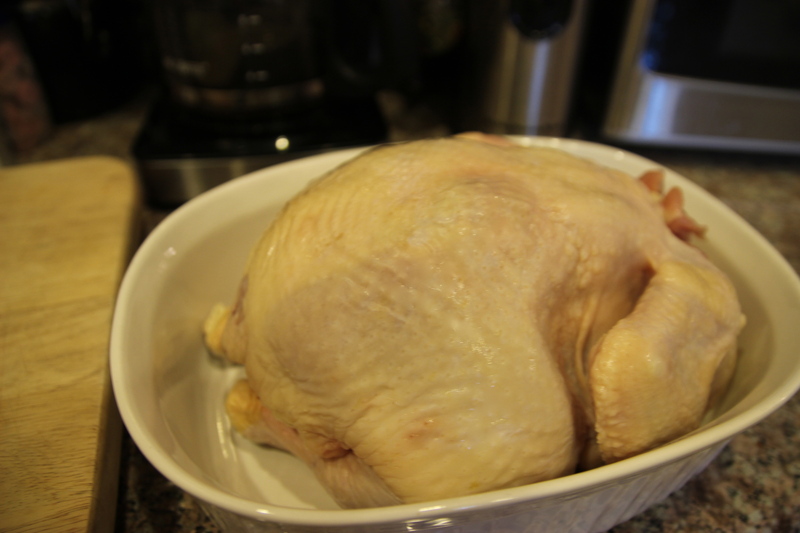 Just take out the baggie of “stuff” inside and rinse the chicken thoroughly. This is where I started crying. No, it wasn’t for the chicken’s life. I said a little “thank you for this chicken” prayer, and remembered that the chicken we eat all the time has to be prepared somehow. So thankfully I was over that. 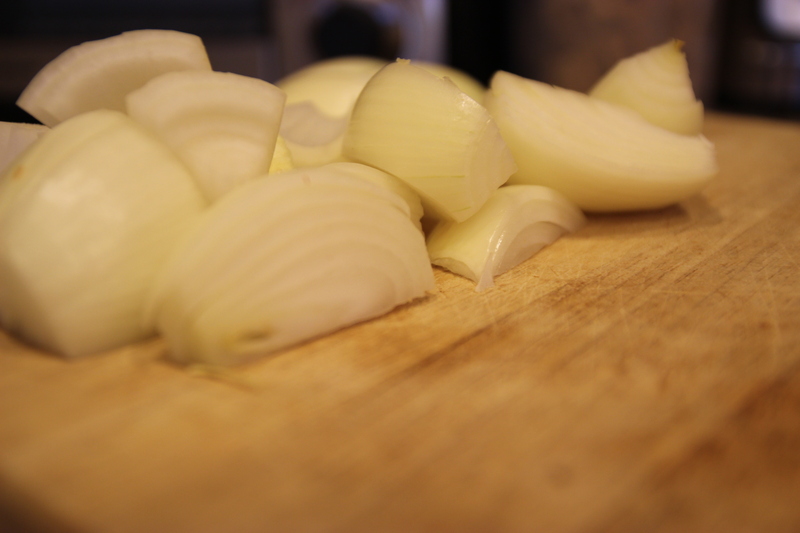 The tears were brought on by these extremely fresh onions. Ahhhhh! I was a hot mess. I dried my eyes, then continued on. Ooohhhhh yeaaaaa!!! 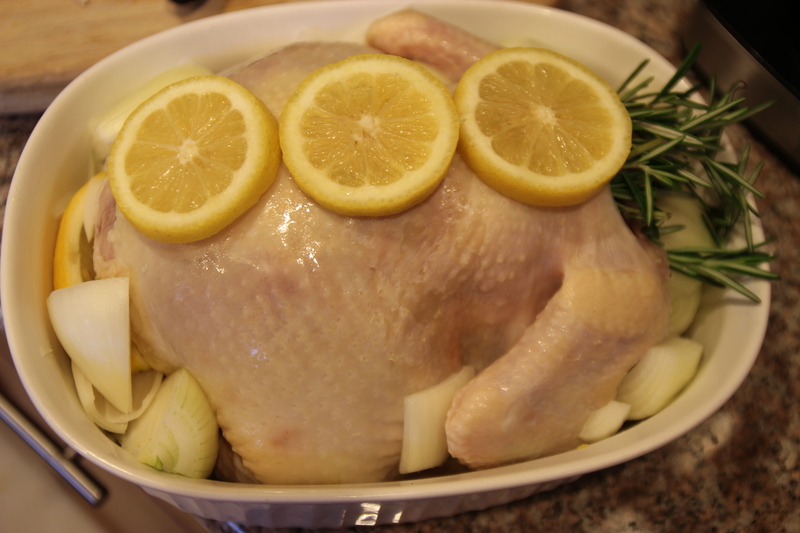 I dressed up this bad boy with 3 whole lemons, 1/2 a cup of lemon juice, 3 small yellow onions, rosemary, salt, and pepper. I chopped the whole lemons into slimmer sections so that they could be stuffed in there, and then I also added the onions in there too. Whatever was left over was simply scattered around the chicken. 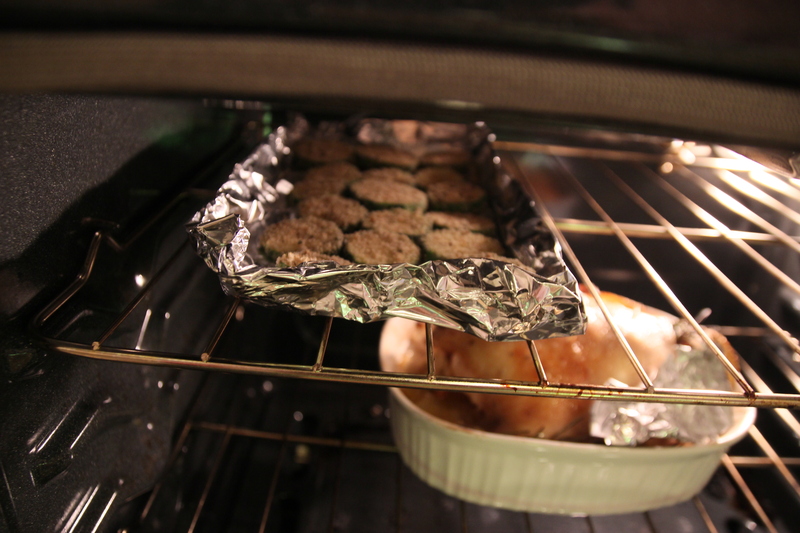 So while the chicken is cooking to perfection (350 degrees for an hour & a half), I toasted our favorite little zucchini bites up top! These are so delicious and simple to prepare. Check out the recipe, found it on Pinterest! Ta daaaaaaa! Dinner was served, and Sean was in love all over again. I couldn’t get over how delightful my house smelled from this creation. It tasted pretty darn delicious too. SUPER tender. We threw on tiny red potatoes and those zucchini bites as sides. After dinner, Sean cleaned up the kitchen while I sipped my wine and thought about how much I love my life. Thank you, engagement chicken!